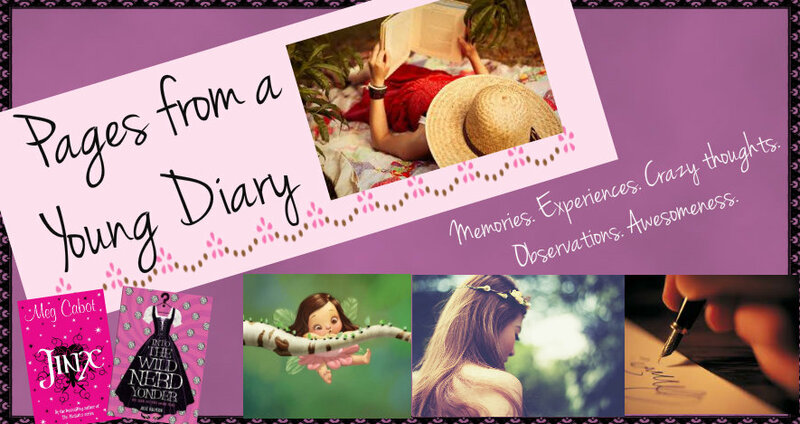 Pages from a Young Diary: Unrandom Updates! Back to the point. This is not a very random post, as you intelligent people might have inferred from the title already (duh), even though it's not entirely planned either. I just realized there have been incidents and stuff that should be recorded for future reference, hence, the post. My life's been... what do we call something that seems boring on the surface but isn't? I've been enjoying my work life so far, and I don't mean we party in office all the time (except for the occasional ordering-out food nearly twice or thrice a week, which has very conveniently made me unfit for almost all my clothes!). What I mean is that it's the work I'm enjoying so far. It's kind of cool. Heck, it's very cool! And I say it seems boring because well, normal people won't understand it. It looks boring on the surface, but I love it. So yay! Besides, have I been feeling all mature or what? I so have a separate post ready to talk about the gyaan stuff I have realized. I can't wait to put it down! I just recalled after coining this term, that my grandmom used to call Scoot, scootery. :') I know. I inherited my cuteness from her. You'd know by now how Scoot forms an imperative part of my life. She is the reason I even reach office (and previously, colleges and tuitions and grocery stores and what-not), and it's obvious that I'd have a range of stories relating to her, some of which I've mentioned before. So for the.... fourth? Fifth time, without any inkling as to what was going to happen, I set out for office. It was 9 am in the morning. (OK, I was late. So maybe ten minutes after that) Just as I reached 1/5th of the distance to reach the metro station, Scoot stopped and refused to restart. Dragging it aside, I tired a few times, not bothering to try the kick-start because it was cold, and who wants to get their feet hurt in such a weather? So after some fruitless tries, it finally dawned on me. Uh oh. I had, as always, ignored mom's warnings and dad's rules, and not checked the quantity of petrol (the petrol indicator is moody, so it's become kind of non-trustworthy). So yeah, donning my bond-avatar in a matter of seconds, I set to work. Got Scoot to cross the road and started walking with it to the petrol pump, which was actually fun. To begin with, I got started on the much-needed exercise in the fresh morning air. Then I'm assuming that the glances I received from random people were appreciative, and not piteous. Since I was anyway late, I decided not to worry and just chill in the winter chill. :P Finally when it was my turn at the petrol pump and the guy opened the tank to fill some in, he looked at me wide eyed. 'But this is entirely empty!' he said, nearly hysterical. I'm sure he must have kept my story to narrate to his friends and family, just like I did. Birthday was cool this year. I think birthdays help us realize the level of closeness we have in all sorts of relationships! Think about it. You get to see your current status of harmony with different people, which of course, keeps fluctuating throughout, but it becomes oh-so-clear on birthdays. That's a different point, though. Beginning this year, I started sharing my birthday with someone else in the family. He's a cute little nephew, who I obviously love more just by virtue of being born on the same day. :P Since it was his first birthday, the family had a grand celebration, and in all of it, I ended up meeting my extended family, all of whom warmly wished me too. To add to that, they had a separate cake and all for me as well, so that was a beautiful surprise. We ended up having a gala time - food, fun, dance, pictures, jokes, chocolates and lots of love! That's not all. That was also the day when I formally began a year-long mission I've set with dad. We have this idea about exploring Delhi, together, throughout the year and document it all. 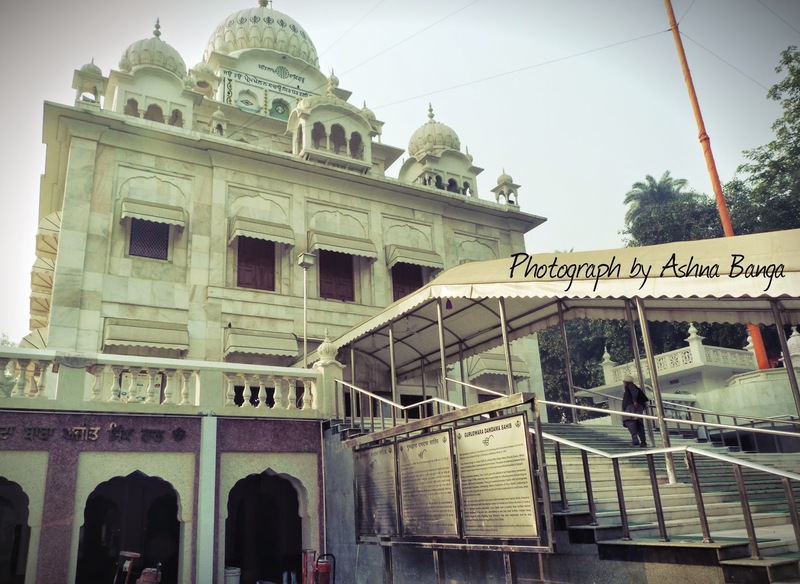 There is this old gurudwara behind Humanyun's Tomb where I had once been as a kid, and just the memory of it made me love it so much. We went there in the morning and that's the first place we visited as part of that plan. Isn't that awesome? :') If any of you have ideas about how this can be made to work out better, do write to me! There's a house being constructed near my place, on a road that I use every evening. One of such evenings, I spotted a candy-floss bhaiya outside our gate and just for the sake of childhood, got one and started walking to the gurudwara nearby. It took just one small bite to realize that I could never finish it, what with being mentally allergic to sweets and all. That's when I spotted this tiny kid doing something comical in front of this construction house, while a woman in a red sari, presumably his mother, looked on, smiling at him. His eyes found the pink wad of cotton candy in my hands and he stood still, while his mother transferred the smile on to me. The kid nearly snatched it away and with a shout of joy and a tumble of words on top of his voice, went running inside to show it to his siblings. It was a weekend, and I was home. Recalling my pre-MBA days, I picked up a book and my camera and went to the park. It was afternoon, and that time of the year when flowers actually bloom and birds, real birds actually happen to be on those flowers! While I was busy clicking tiny spiderhunters, a group of kids came running from nowhere and scrambled towards the swings, shouting and rejoicing in merriment. After a while, a young girl called out to me. She seemed to be the leader of the group, barely ten years old. 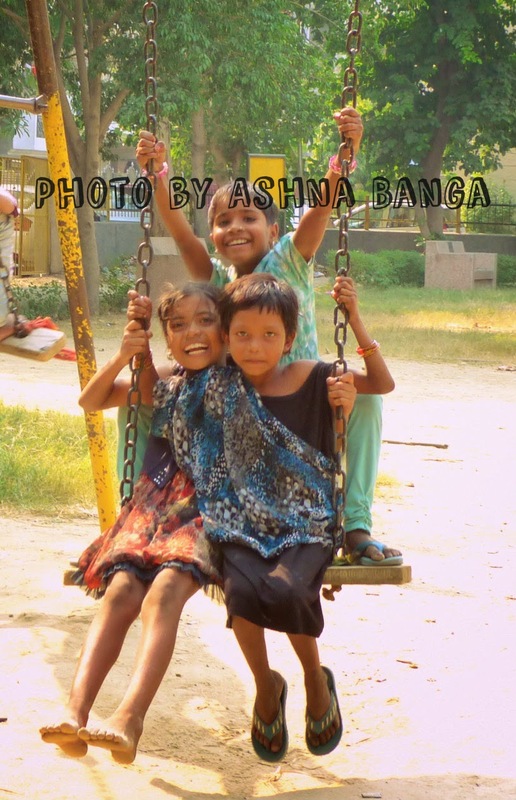 I set out to click some candid, and some not-so-candid pictures as the group slowly warmed up to me, and to the idea of getting their pictures clicked. They told me their parents worked 'somewhere just outside the block', and that they're here to play and usually stay till evening. They seemed delighted when they saw their pictures on the camera's screen, so I told them that I'd get some of them printed and get those for them. 'Didi, isko de dena meri photo. Mai school jaati hu,' said the group leader, pushing forward a tiny girl who matched her features. Her sister, probably. Two weeks later as I made my way into the park with a brown envelope in hand, it was amazing to see how, when the lead-girl recognized me, shouted out for everyone to come over and they all came running up to me. Their excitement was contagious, and you had to look at the restraint and control they had! While I carefully laid down the photos for them to choose, there was hardly any pushing around, and the little ones waited while the eldest handed them the photos in which they featured. The next second, the group leader put her thin arms around me in a hug and asked me to click some more. What did I get out of it? Happiness. Was it charity? No. It was just something I felt like doing, at that moment, never realizing how much it can mean to a bunch of kids whose parents are everyday labourers in a city like Delhi. I also saw how these kids, deprived of most things those middle-class and above take for granted, are much more capable of patience and discipline. Can you imagine handing a thin sheet of a picture to a five year old in your family, fully trusting them to take care of it? With the way I've seen so many brutes, I can't do that. But these children did, holding those pieces of paper like they were delicate treasures, which I suppose for them, they were. Life as a professional worker is so different from college life, although I realized that it is up to a person to make it different. For me, it's something that suits me more than college, because here, I can really, actually do what I think is right without worrying that much about the mundane things. Probably because I was exhausted by the end of it, I prefer this life way more than college. It's more empowering, it's more satisfying (dealing with sensible people rather than being forced into a classroom with weird people) and it's a lot more about learning. Again, it depends on how you perceive it and how seriously you take it. For those of you just out of college, or going to be out of college, I'd suggest you to put in your best, plan everything and do the kind of work you want to, in the way you want to. It might not be possible initially, but if you know where your goal is, that journey would feel great. You'll meet nice people, you'll learn amazing stuff, and trust me, you won't miss the masti in college as much as you think. You might just feel too grown up for all that stuff, like I do these days. I know, I sound like a 35 year old, right? But that's just the truth. And that mostly applies to work. It is now that I feel truly at peace with myself, it is now that I have begun to understand myself, and this is something everyone must experience in order to live happier lives. Psst: I have a new blog for my adventures at the work place, but it won't disclose my identity. I got it up more than a month ago, but there are no posts yet. If you'd like to read it too, send me an email and I'll let you know what that is! Provided though, you fill in a secrecy form where you pledge not to disclose my identity, failing which the curse with which the form is bound, would befall on you. (Told ya I'm a witch. If you still don't know how, read my previous post already!) So that's really up to you, and for those really interested. I want to start this point with a LOL, but since that'd be self derogatory, I won't. I'm someone who is so not interested in cooking. I respect it a lot, because that's how I get to eat food in the first place, and some dishes just look like a work of art, but I don't particularly feel inclined towards cooking anything myself. Except recently, sometimes, I do. Don't ask why, because I don't know it myself. 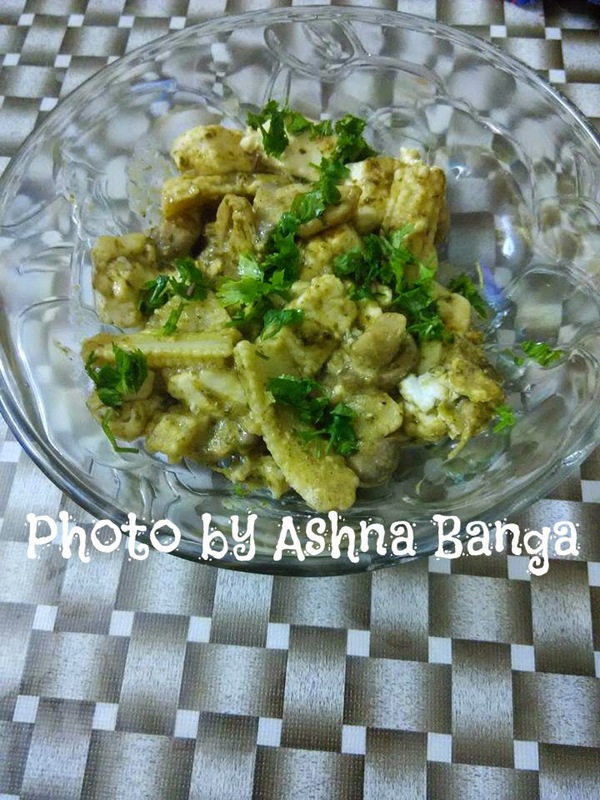 So whatever, I liked this page on Facebook where recipes by Masterchef Pankaj Bhadouria are shared, and today, I made this dish called Paneer Hariyali Tikka, except that I added baby corn and mushroom to the mix (umm. Not a very good idea). But it was still yum, so you can check it out too! Me: *calls G* What are you doing? Me: How are we supposed to differentiate between dhaniya and pudina? G: *pause* What did you say? Me: HOW SHOULD I RECOGNIZE DHANIYA? Me: Dude, I need to cook something for dad and I can't find dhaniya. I'll whatsapp you pictures, tell me which one is that, okay? G: *bursts out laughing* You're crazy. Me: -_- Whatever. Sending them soon. I'm not explaining anymore, since you're probably guffawing by now, or already left the blog thinking what a crackpot I am. In either case, here, take this stare --> -_- and know that I don't care. Huh. PS- Does anyone remember I started a meme called Theandric Thursday? The most ardent follower of it recently posted a TT post. Check it out here. Thanks for the wishes, again! Lots of love to you too! So glad to see your comment here again. Take care! By the way ever since I've seen that scooty, I've been wanting to ride it around. Will you let me? You can in the back if you like! And and and....the Photographic Happiness. Loved reading that :'). Keep spreading awesomeness. We have the same kind of scooty adventures? :D It's cool, don't you think? The way you can do stuff for yourself. I read your comments with too much happiness to consider any typos :') Thanks!! A tiny post on a teen pop star of my time. Whoever you are, there's only one you!